Believe In Beer Tin Sign | BUDK.com - Knives & Swords At The Lowest Prices! 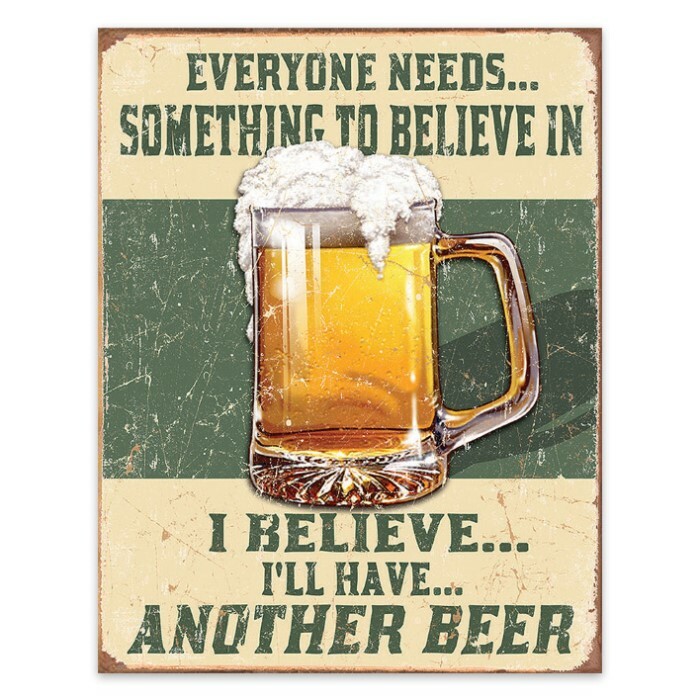 The Believe In Beer Tin Sign looks like it just came right off the wall of one of those great little neighborhood bars. The vintage look of it makes it a great conversation piece so that it’s a great addition your home or office. Made of high quality materials and flawless design, the sign is made in the USA. Its dimension are 12 1/2”x16”.